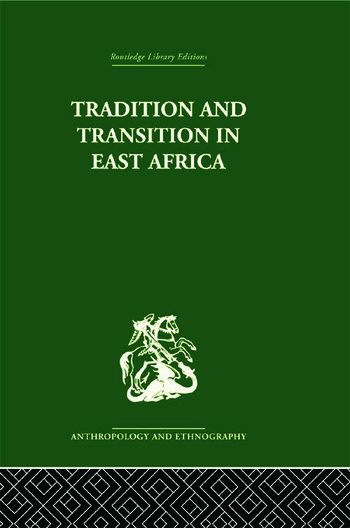 Divided into two parts, the first sections in the book examine the significance of the tribal factor in certain general contexts and discuss some of the particular backgrounds to contemporary transition in East Africa. There are essays on politics, economic development, language, law and education, together with a comparative look at European nationalism. In the second part, the grass-roots basis and development of the concept of the tribe are considered and its operation in social life in rural areas discussed. The contributions come from a wide range of scholars in the social sciences, history and law and the contributors are: W.J. Argyle, George Bennett, Tom J. Mboya, W.H. Whiteley, Eugene Cotran, J.W. Tyler, J.S. La Fontaine, Michael Twaddle, Kathleen M. Stahl, P.H. Gulliver, Kirsten Alneas, David J. Parkin, R.D. Grillo, I.M. Lewis, H.F. Morris.